Around 2 crore UC users celebrated Diwali and 11.11 UC Shopping Fest with *UCWeb* over the past 3 weeks. 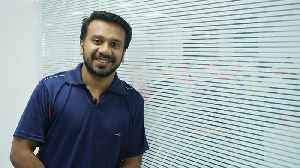 This year, the UC Shopping Fest in India, as a part of Alibaba’s 11.11 Global Festival,..
▶ Videos for "Asia Cup 2018"
After a hard-fought win over Bangladesh in a nail-biting Asia Cup final, stand-in India skipper Rohit Sharma praised his players for handling pressure well beside playing quality cricket throughout the.. In a match going down the wire, Ravindra Jadeja and Bhuvaneshwar Kumar's sensible knock helped India pip Bangladesh by three wickets in a thrilling Asia Cup final at the Dubai International..
India beats Bangladesh in the final match of Asia Cup 2018. Captain Rohit Sharma praises Spinners and says,'they brought us back in the game'. Watch the video and know the whole story. India won Asia Cup 2018 against Bangladesh . During Media Interaction, Rohit Sharma calls his Captaincy as same as MS Dhoni. 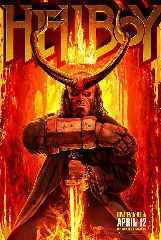 Watch the above video and know the whole story. 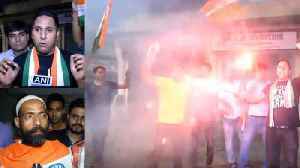 India beats Bangladesh in Asia Cup 2018 and Afterwards, Team India Fans celebrating the moment by fireworks and waving Indian Flag outside Dubai International Stadium. Watch the above video and know..
ಏಷ್ಯಾ ಕಪ್ 2018ರ ಫೈನಲ್ ಪಂದ್ಯದಲ್ಲಿ.. Defending champions India are the favourites to lift the Asia Cup trophy for the record seventh time when they face a confident Bangladesh in the final at the Dubai International Cricket Stadium here..
Varun Dhawan and Anushka Sharma starrer “Sui Dhaaga: Made India” releases today in your nearest cinema theatres. a special screening was held last night wherein Virat Kohli made a romantic..
Indian cricketer and vice-captain for the Asia Cup tournament, Shikhar Dhawan addressed mediapersons ahead of the much anticipated finals against Bangladesh. India Vs Bangladesh Asia Cup 2018 and Team India gears up to beat the opposition. 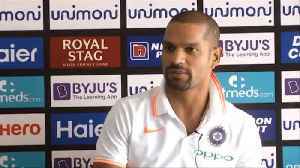 During Media Interaction, Shikhar Dhawan gives shocking reply on Virat Kohli's Absence. Watch the above video and know..
India and Bangladesh are set to clash against each other in ASia Cup 2018 Finals on Friday at Dubai International Cricket Stadium in UAE. Squads: India: Rohit Sharma (captain), Shikhar Dhawan,..
Bollywood actor Shah Rukh Khan, who is at the top of his game while addressing at the send off ceremony of Indian para athletes for the Asian Para Games 2018 revealed that a few months back he wanted..
Pakistan captain Sarfraz Ahmed was critical of his team’s performance after they were knocked out of Asia Cup 2018 by Bangladesh. Sarfraz led team failed to click with either bat or ball as..
Mahendra Singh Dhoni's comeback as skipper, albiet for a game ended in a thrilling tie against a resurgent Afghanistan in their final Super Four match of the Asia Cup at the Dubai International Cricket..
Actress Shraddha Kapoor, who is gearing up for her forthcoming film based on the life of Indian shuttler Saina Nehwal, has said she feels lucky to be part of the film of an athlete who won the bronze..
After India won their second Asia Cup match against Pakistan by nine wickets in Dubai on Sunday Yuzvendra Chahal, who plucked two wickets in the match said that winning back to back against Pakistan..
India Vs Pakistan Asia Cup 2018 won by Team India. Indian Cricket fans celebrating victory against Pakistan. Watch the above video and know the whole story. 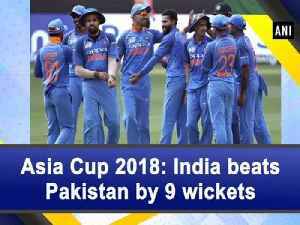 Team India won the match against Pakistan in Asia Cup 2018. Indian Cricket fans celebrating victory against Pakistan. Watch the above video and know the whole story. 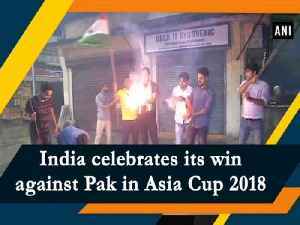 New Delhi/ Allahabad (Uttar Pradesh)/ Moradabad (Uttar Pradesh)/ Mumbai: Fans across the country today celebrated India’s win against Pakistan in Asia Cup 2018. 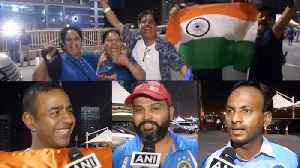 Fans, excited and happy, lighted..
New Delhi, Sep 24 (ANI): India defeated Pakistan by 9 wickets in the ongoing Asia Cup 2018 super four match in Dubai International Stadium on Monday. India chased Pakistan by 238 runs. Shikhar Dhawan..
A 'fit-again' Kedar Jadhav on Thursday said there was no communication over his exclusion from the Indian team for the remaining three ODIs against the West Indies, prompting chief selector MSK Prasad..
Sania Mirza has some 'words of advice' for men who have been trying to give her pregnancy advice of late. 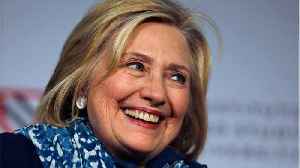 The decorated tennis player, who is expecting a child with her cricketer husband Shoaib Malik,.. The wicketkeeper had also signed the jersey with a message: “To chacha, Dhoni” indicating his wit and sense of humour. Khaleel Ahmed made his debut for India during Asia Cup 2018. India rode on an all-round show to crush Sri Lanka by 144 runs to bag the Under-19 Asia Cup 2018 title at the Shere Bangla National stadium here on Sunday. Sri Lanka were never really in the chase as they were restricted to a score of 160 after losing wickets at regular intervals. For Ehsan Khan, the off-spinner from Hong Kong, the 'main chapter' of his life has already been written. The 33-year-old picked up the wicket of Mahendra Singh Dhoni in the recently-concluded Asia Cup,..
Ravi Shastri said that only players will be given similar rest. India won the match by 51 runs to claim their third win in the U-19 Asia Cup. Clinical India U-19 team registered an easy 51-run win against defending champions Afghanistan in their U19 Asia Cup match on Tuesday in Savar, Bangladesh. Bangladesh skipper Mashrafe Mortaza believes that there is some mental block in the team which could only be overcome by winning a tournament. The comment came in the backdrop of Bangladesh's close..
Openers Anuj Rawat and Devdutt Padikkal smashed centuries while spinner Siddharth Desai made short work of the UAE batsmen as he scalped six wickets. Rohit Sharma seems to be continuing the tradition started by Dhoni. Rohit Sharma has now led India to seven wins out of eight ODIs under his captaincy. Most interesting stats of the Asia Cup final between India and Bangladesh. Shikhar Dhawan said that he enjoyed batting during the Asia Cup tournament. The win also shattered Bangladesh`s dream of their maiden Asia Cup title while the Rohit Sharma-led Indian side clinched the prestigious title for a record seven times. A severely hamstrung Kedar Jadhav ran the most defining single of his short international career as India beat Bangladesh by three wickets to win their seventh Asia Cup title in a pulsating last-ball..
India's unorthodox spin duo of Kuldeep Yadav and Kedar Jadhav wreaked havoc after opener Liton Das's fine hundred as Bangladesh were bowled out for a modest 222 in the final of the Asia Cup in Dubai on..
A look at some of the interesting stats of India vs Bangladesh, Asia Cup 2018 final. 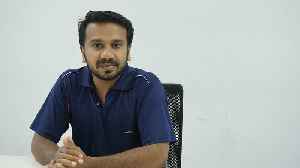 As legendary arch-rivals India and Pakistan battled against each other in the Asia Cup 2018, more than 9 million cricket fans had a ringside view of the cricket matches through the banter and bonhomie..
Ganguly predicted that Bangladesh need to present a target in the vicinity of 275 if they bat first. How, where and when to watch India vs Bangladesh Asia Cup 2018 final match. Sania Mirza hit back at a Pakistani journalist on Thursday after the latter tried to troll her husband Shoaib Malik. The Pakistan cricket team crashed out of the ongoing Asia Cup on Wednesday after.. 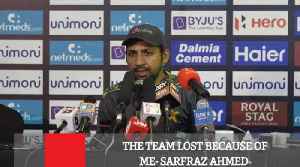 Disappointed Pakistan captain Sarfraz Ahmed has revealed he lost sleep for six days during his team's flop at the Asia Cup. Pakistan lost their must-win game against Bangladesh by 37 runs in Abu Dhabi..
Pakistan on Thursday left out struggling pace spearhead Mohammad Amir from the 17-member squad for the two-match Test series against Australia starting in United Arab Emirates next month. The..
Bangladesh lost to India in the final of the tournament in 2016, four years before that they were defeated by Pakistan in the summit showdown of the continental event. India opener Shikhar Dhawan Thursday said there was "no shame" in his disastrous run of form in the Tests against England as his plans did not work out despite giving his all. Dhawan, whose place in..
After Pakistan's Asia Cup debacle, skipper Sarfraz Ahmed has assured of making required changes in the team while adding that there is no need to press the panic button. 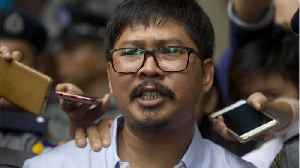 The 31-year-old further.. Taking to Twitter, Afridi congratulated the Bangladeshi side for making it to the finals and criticized Pakistan for lacking an attacking mindset in the match. 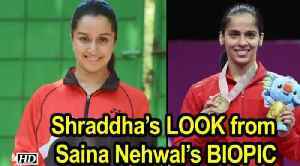 Bangladesh's gritty win over favourites Pakistan, Angelo Mathews' livid at the SLC, Manpreet Singh as the new hockey captain, Saina Nehwal's first-round win at the Korea Open - we discuss these stories..
Varun Dhawan's connect with India vs Pakistan cricket match in Asia Cup Final REVEALED! Many Bollywood folks, especially those from the previous generations, were said to be a superstitious lot. While the Gen Now is not said to be so very particular, some do tend to find some connect to..
Mushfiqur Rahim struck a valiant 99 as Bangladesh produced an all-round effort to stun Pakistan by 37 runs in the last Super Four match and progress to the final of the Asia Cup in Abu Dhabi on..
Bangladesh defeated Pakistan by 37 runs in their Asia Cup 2018 Super Fours clash at the Sheikh Zayed Stadium in Abu Dhabi on Wednesday. The match was a virtual semi-final and enabled Bangladesh's safe..
Bangladesh did well in the first half of their virtual semi-final against Pakistan in the Asia Cup but they were in for some bad news late on Wednesday. Star all-rounder Shakib Al Hasan was forced to..